Electric Pressure Washer: A man has always sought simpler and quicker ways of doing things. His quest has led to the invention of many machines that are intended to make work easier. 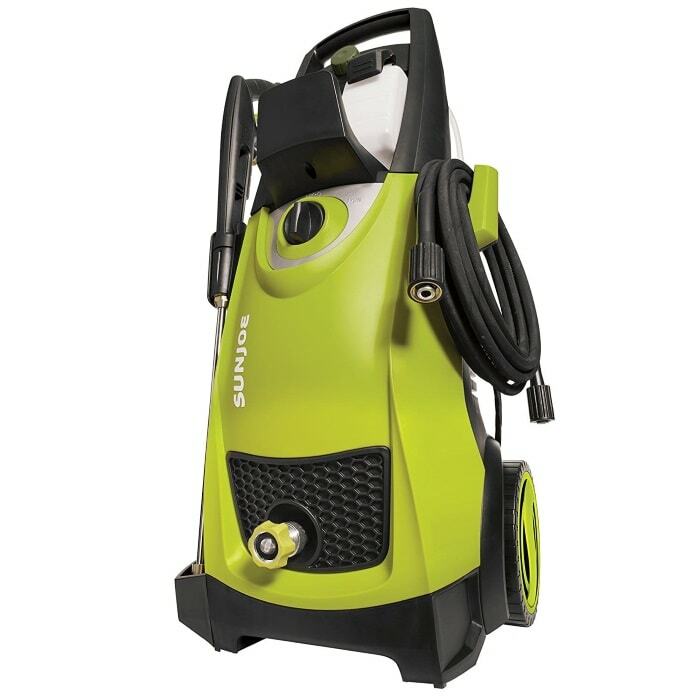 One such machine that has gained a lot of popularity due to its effectiveness in both residential and commercial cleaning is a pressure washer. Heavy-duty pressure washer machines are widely adopted by cleaning experts to tackle a wide range of cleaning jobs in both industrial and commercial settings. A moderately-powered pressure washer, on the other hand, has proven useful when it comes to simple household cleaning jobs such as cleaning floors and vehicle detailing. Ther are two versions of pressure washers based on their source of power; gas-powered and electric-powered pressure washers. Initially, gas-powered pressure washers used to dominate the market, but they have recently encountered a lot of competition from the electric ones. 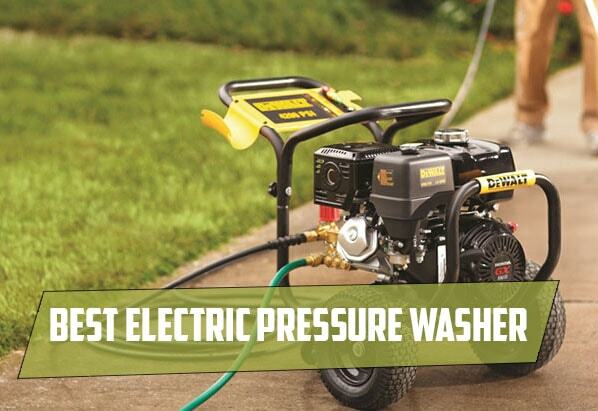 Are you having trouble deciding between gas-powered and electric-powered pressure washers? No need to be. In this guide, we have looked at some of the distinguishing factors between the two versions to help you with the selection process. Let’s see How you will choose which Is best for you? What and where will you be cleaning? While gas-powered pressure washers are considered more powerful and efficient, they are relatively bulky and more expensive. They are also known to be noisier when compared to electric pressure washers. If you wish to buy a pressure washer that will be used only after a couple of weeks and for simple house cleaning tasks, then we would recommend an electric pressure washer. It’s quite lightweight, relatively cheap and efficient when it comes to cleaning household items. However, if you need a pressure washer for heavy duty or general industrial cleaning then consider a gas-powered pressure washer. They offer more power which is essential for cleaning hard stains, and they are not limited to electrical power source thus can be operated almost everywhere. 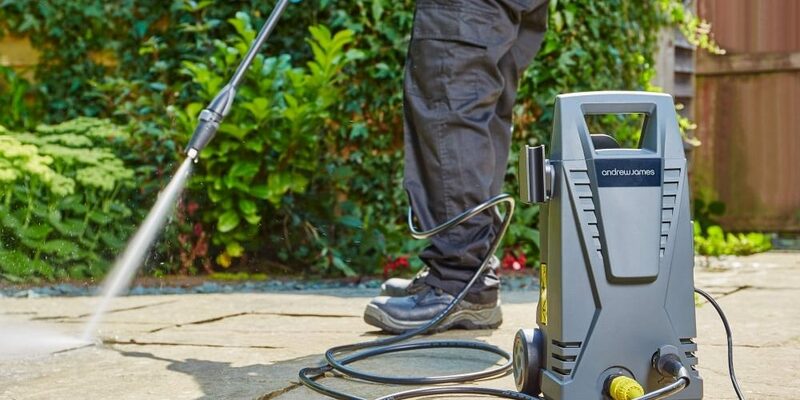 If you wish to purchase an electric pressure washer, below are some of the best electric pressure washers you should consider. For those who have been struggling with cleaning chores around their households, it’s time to bid goodbye to the strenuous work involved in cleaning small soiled stains on your patio, thanks to this fantastic product. Sun Joe SPX3000 Pressure washer remains to be one of the most powerful electric pressure washers in the market today attaining a maximum pressure of up to 2030 PSI and a flow rate of up to 1.76 GPM. This makes it ideal for removing stubborn stains from porches and driveways. Unlike some pressure washers that require detailed configurations before operating them, Sun Joe SPX3000 pressure washer is pretty easy to use, and you can get it started almost immediately. It has a long power cord and pressure hose which adds to its mobility, therefore, simplifying the cleaning task. Additionally, the pressure gun contains a trigger lock which is meant to enhance safety and protect the trigger from damage during storage. This machine is also among the quietest electric pressure washers. The noise produced measures an average of 87.4 Decibels. This amount of noise is so negligible that it is considered almost noiseless. This is surprising considering how powerful this machine is. When it comes to durability, Sun Joe SPX3000 Pressure washer is constructed from a tough plastic thus making it sturdier and long lasting. You should, however, be careful when connecting the metal pipe to the plastic fitting to avoid damaging the plastic. Even though it weighs in at 31 pounds, this sleek machine has easy glide wheels making it easy to move around. More importantly, the Sun Joe pressure washer series has introduced Sun Joe SPX4000 2030 PSI 1.76 GPM which is an upgrade version Sun Joe SPX3000. It weighs less and provides more power and efficiency. Do you prefer a more compact and lightweight washer unit for your cleaning requirements? 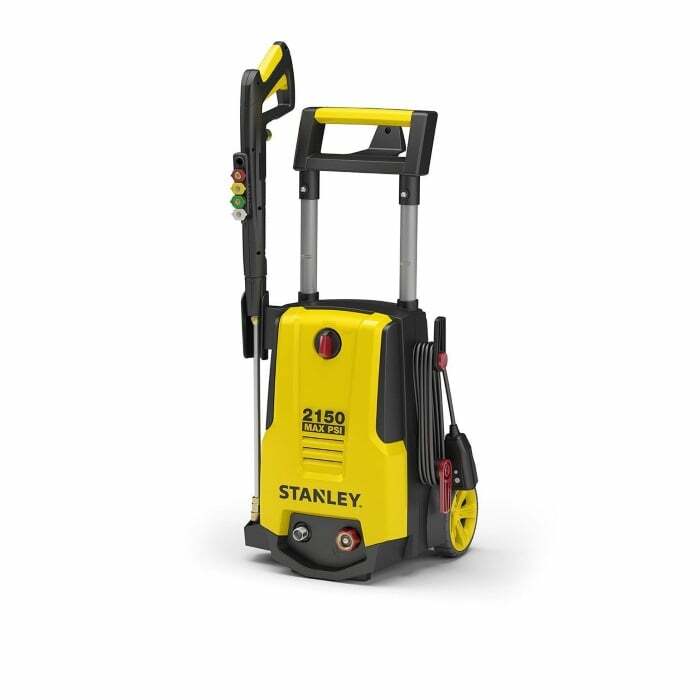 Then you should consider a Stanley SHP2150 Electric Pressure Washer. This machine comes with some amazing specs that deserve your attention. Firstly, Stanley SHP2150 features a very high-pressure spray gun. This is one of the most outstanding features of this machine. With a maximum pressure rating of 2150 PSI and a flow rate of 1.4 GPM, this product is efficient enough for carrying out basic household cleaning. You can quickly adjust the spray gun to suit your cleaning requirements and to help you save water. You cannot, however, regulate the amount of pressure with this machine. Instead, it has four nozzles, i.e., 0, 15, 25and 40 degrees nozzles that you can easily connect to for a wide range of cleaning tasks. Instead of an inbuilt detergent bottle, this machine features a high-pressure foam canon that can easily be attached to the quick connect and can hold 28 oz. The canon has a knob that allows users to vary the detergent concentration based on the cleaning they intend to do. Stanley SHP2150 also comes in a unique design which makes it an aesthetically pleasing. It’s also relatively lightweight (approximately 26 pounds) and has two wheels to enhance portability and mobility. When working with Stanley SHP2150, you are limited by a 33-foot power cable that supplies electricity to the machine’s motor. This unit also has a 25-foot long hose pipe to ensure that you can clean a wide area without the need to drag the device now and then. Squeezing the trigger before the motor stops completely can prevent the washer from turning on. 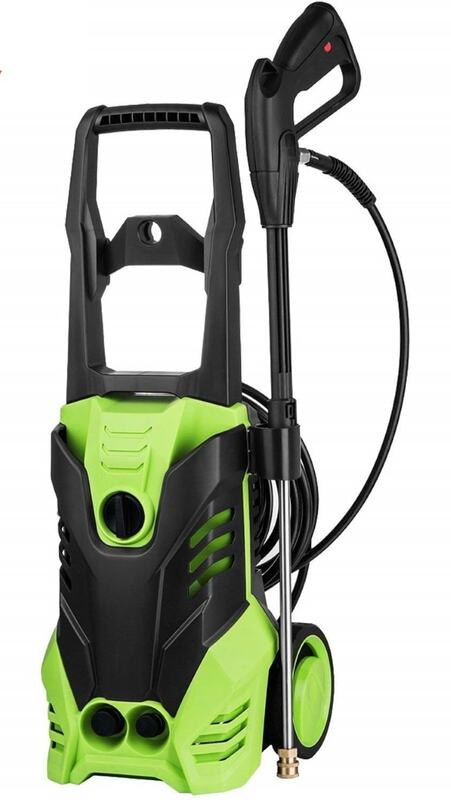 Ncient SVX4500 High-Pressure Power Washer has appeared among our top 3 best electric pressure washer since it has proven to offer some of the fundamental features that customers expect from a washer unit. This unit is powered by an 1800-watt motor which attains a maximum cleaning power of up to 3000PSI and a flow rate of 1.8 GPM. The force exerted by this air cooled industrial motor is strong enough to blast through dirt, grime, and other hard stains thus leaving your surfaces sparkling clean. If you wish to cut down on your electricity bills during cleaning, then this is your ideal pick. This machine features a Total Stop System (TTS) which shuts off the pump automatically whenever the trigger is released to help save water and energy. To ensure that the unit meets various cleaning requirements, it incorporates a five quick connect spray tips; 0,15, 25, 40-degrees and soap. You can connect any of the nozzles depending on the severity of the dirt and tasks ranging from light, to medium to heavy-duty cleaning tasks. Lastly, ncient SVX4500 High-Pressure Power Washer features a 20-feet high-pressure hose. This is long enough to allow you to reach greater distances thus eliminating the need to move the machine continually. Gas-powered pressure washers are used for commercial purposes. For this reason, they feature high quality and durable components that can withstand the harsh industrial environment. Most of them consist of a chemical resistant stainless steel housing that results in a more durable model. Since electric pressure washers are less likely to suffer knocks and bumps in a home environment, manufacturers prefer compromising their build to achieve a relatively inexpensive household machine. Electric pressure washers depend entirely on electricity for them to run. This means that they are restricted to areas with electricity supply and within reach of their power cords. Although the length of the cable can be increased with the use of extension plugs, electric washers are not ideal for places without electricity. With gas pressure washers, you can always carry additional gasoline for the refills. They are relatively heavy but have wheels to enhance portability. pressure levels are represented in terms of pressure per inch square (PSI) whereas flow rate is measured in gallons per minute (GPM). Gas pressure washers are mainly built to offer more power to allow them to clean even the most stubborn grease, grime and other stains related to the industrial environment. For this reason, most gas-powered pressure washers range from 2500 to 3100 PSI. This makes them ideal for industrial degreasing, concrete maintenance and spot cleaning of paint. Electric pressure machines also can be potent, featuring up to 2000 PSI but are relatively less robust when compared to gas pressure washers. An average electric pressure washer ranges from 1700 to 1800 PSI. This is enough power to tackle small cleaning jobs such as cleaning patios, vehicles, backyard grill among other miscellaneous tasks.